For some people, it is just but a flower painting with no meaningful purpose but to make the walls beautiful and enhance the looks of the interior décor, while for others, it is the most amazing piece of nature painting they have ever seen. This is a subtle indication at just how perception about art varies from one person to another, and being an industry that is as old as humanity, understanding the motive why people buy art is complex. In a study commissioned by the Barclays Bank to look at the motivations behind treasures trends, and why some people were keen on purchasing beautiful art pieces while others scored the entire internet for famous art collections, it was discovered that the number one reason why the majority like keeping art collection is purely as an investment. Art appreciates in value, and there is evidence all over for famous artwork that sold for millions of dollars. This is the sole reason why art collectors are willing to go at great lengths to increase their collections of prized art possessions over time. They know that with a little patient, they will be in for a kill when the right times and the right buyer shows up. 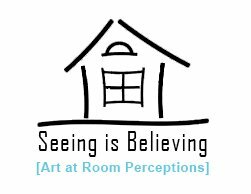 Other than looking at the motivation from an investor’s point of view, there are other reasons which compel millions across the globe to buy various types of artwork. For example, when one makes a purchase of an original art painting, it brings the feeling of victory, social distinction, and cultural superiority. This is especially when the art was acquired at a hefty price, which ordinarily would be beyond the reach of the masses. There is no monetary value that can be attached to such a feeling, and it will usually to the new owner having a unique sense of attachment to the piece and an increased appetite to continue going for more. When they identify with the piece of work – when you are French living in Toronto, and you see a handmade painting of Paris, you may purchase it simply because it reminds you of home. 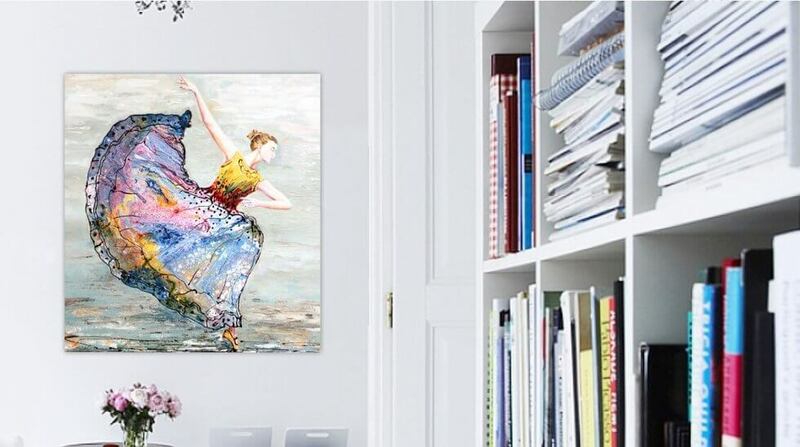 When there is an emotional connection with the work – for example, if it is a canvas art painting of lovers, and you find some semblance on it when you think about your love story, you may find yourself making the purchase. Social Status – there are a group of people who will buy awesome paintings just to brag about them. Perhaps the paintings are very expensive and very few people can afford them. This is never anything but a bloated ego. Art as a gift – it is also common to buy art as a gift. All you have to do is figure out what the person you intend to gift loves, and then get them an appropriate piece of art. Such can always be customized to bear their names, portraits or carry connotations they will easily identify with. Authenticity and research – every piece of art you buy must come with a certificate of authenticity. This is how you will know that you will be buying an original piece. Know how to research – you have the option of visiting the galleries or doing your search online. Whichever option you prefer, just be sure to do a thorough job. Know the exact item you want, the region it is coming from, the year it was created, the name of the artists and its value. Shipping and insurance – if your art will be shipped to you, then you will appreciate if it was handled by professionals and it also came with insurance. Find out about these if the art will be shipped to you before you conclude the deal. Every piece of art you obtain from our site is guaranteed to be genuine, authentic and shall have been taken through thorough quality checks to ensure that you get nothing but the absolute best. We also offer free insured worldwide shipping which will see you receive your art irrespective of your location in the world.